No official poster for the modern Olympic Games would be produced until the Games in Stockholm in 1912. The picture you see is a official poster from the World Exhibition in 1900, Paris. 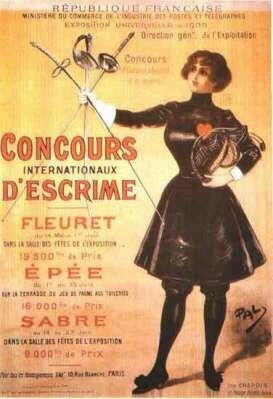 There are also other posters from the international contests in physical exercises 1900, Paris.